Toy Story Land is just days away from opening on Saturday, June 30, and Tickets at Work has the best ticket deals to enjoy all the new attractions soon to be unveiled at Disney’s Hollywood Studios. With TicketsatWork, you can save on tickets to Toy Story Land and enjoy a wonderful experience with Woody, Jessie, Buzz, Slinky Dog, Green Army Men and other Toy Story characters. Inspired by the Toy Story films, the highly-anticipated toy-filled land covers eleven acres, featuring two all-new attractions and one expanded favorite. Guests will whoosh along on a family-friendly roller coaster, take a spin with flying saucers in toy spaceships and score high on the midway. 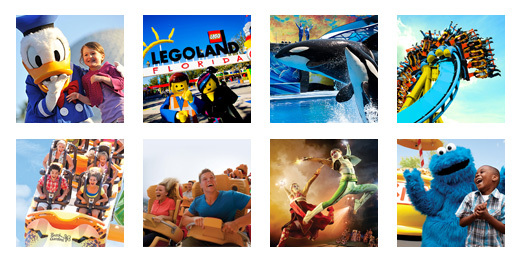 TicketsatWork.com offers super specials for Walt Disney World ® Resort Theme Park Tickets. Buy any 4 Day Park Hopper® or Park Hopper® Plus Ticket, and Get the 5th Day FREE! With great adventures for kids and grown-ups alike, now is the time to make plans to visit Disney’s Hollywood Studios. Celebrate Pixar’s famous movies and all the terrific new attractions at Toy Story Land. The Slinky Dog Dash coaster will delight riders of all ages as you twist around curves, hills, bridges and drops in this coaster-style attraction. Riders will zip around and above Toy Story Land, soaking up panoramic views of all that the new land has to offer. Families at Toy Story Land can to take a spin on Alien Swirling Saucers, a galactic play set. Here, adorable little green aliens swirl about in their flying saucers with guests in tow in their rocket ship toys, while “The Claw” hangs overhead. At Toy Story Mania, guests ride and blast moving targets at this midway-style, 4D shootin’ game starring some of Toy Story’s favorite characters. Recently updated with a third track, the popular attraction will put even more guests in the carnival playset action taking aim at 3D objects – using everything from baseballs to cream pies – in a variety of whimsical, fast-paced games. When it’s time for on-the-go refreshments, Woody’s Lunch Box serves up tasty meals and old-fashioned soda floats from a walk-up window in a setting surrounded by Andy’s favorite toys and a giant vintage thermos. This summer, get ready to play big in the brand new land at Disney’s Hollywood Studios!